Promoting your apartment with the best online apartment marketing strategy is a must-have for today’s apartment managers. As your competition continues to do their best to sign more leases, you are likely under increasing pressure to meet your monthly signing goals. The only way to secure more leases for your community is to understand the needs of your potential renters, and get your message in front of the right people at the right time. The process of building a great apartment marketing plan on a tight budget can be difficult, and this is why we wanted to share our strategies that have worked for many properties across the U.S. Even with so many marketing options, are you fighting to think of apartment advertising ideas? You can use all or some of these apartment marketing plans to create a powerful and profitable online marketing plan for your apartment community. 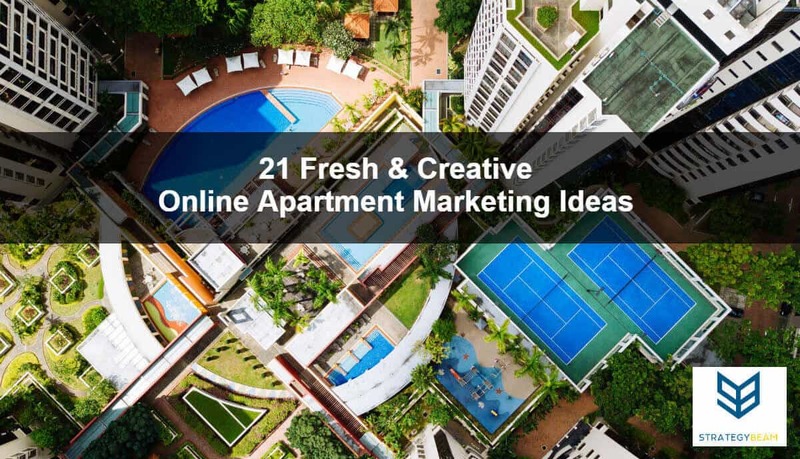 Without further delay, let’s take a look at the 21 best creative apartment marketing ideas that you can use to sign more leases today! If you want to get more leases signed, then you need to reach your audience and show the value of your property. There is no better way to do this than to post high-quality images of your apartment complex on Instagram and Pinterest. Not only are these platforms image-first social channels, but they are also frequented by women so you can engage with your ideal customers in a fashion that they will respond to. You should focus on posting images that are attractive and showcase the value of your apartment community. You can create a content calendar for the next quarter, and take photos and videos that align with your apartment marketing strategy. Once this is outlines, you will be able to post images on Instagram and Pinterest to raise awareness about your property while also highlighting what makes your apartment community special. Video posts can be up to 60-seconds long. You can create video Stories, and each Story has a maximum of 15-seconds. You can have many 15-second segments, and Stories are a great way to get found on Instagram. Create longer videos with IGTV. You can link to IGTV shows from your Stories, so think about how you can help create a better experience for your audience. Instagram and Pinterest are great ways to build an online presence for your apartment. 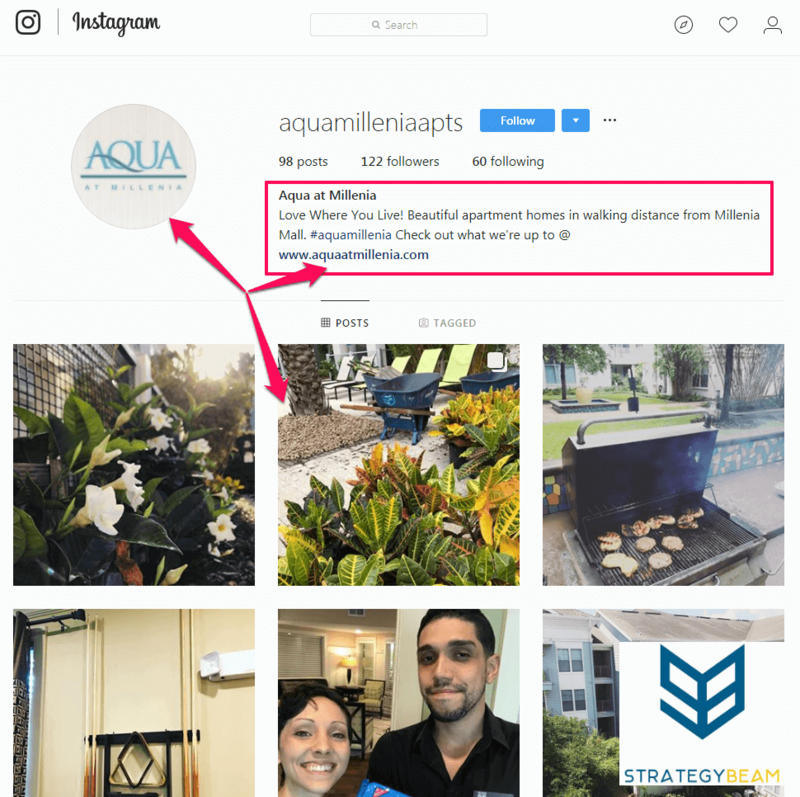 Using these social channels means that you can increase exposure and drive more engagement through your apartment marketing strategy ideas today! Organic socials strategies work wonders for creative apartment marketing, and if you have the budget, you can see beautiful results by running Facebook ads. 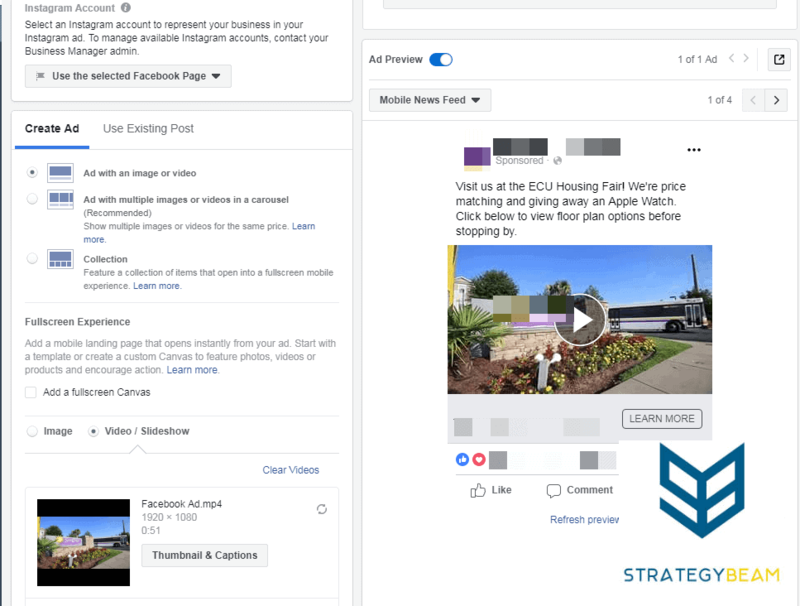 Just like organic posts, paid Facebook ads will appear in the Feed of your audience. The difference is that paid Facebook ads give you an enhanced level of control so you can determine who sees your content and where they are. There is a $5 daily minimum spend for Facebook ads, but your apartment marketing strategy can come together if you publish great photos and specials using this platform. Be sure to build out a landing page for each special, because you are paying Facebook each time someone clicks on your ad and you don’t want to waste any money. Since Facebook can be expensive if you are working with a small budget you should consider using Geotargeting, and look alike audiences to build your Facebook lists. You can import email addresses from current residents and let Facebook use that information to help you identify your ideal target. This is a great way to reduce costs while improving your reach and drive more people to your website. Walking prospective renters through your apartment community is a great way to show the value of your property while also building a relationship with your ideal audience. However, scheduling these walkthroughs can be time-consuming. You can use Facebook Events to announce upcoming showings, and use this valuable feature in Facebook to gather several prospects at once. If you choose to use Facebook Events for your apartment marketing strategy, you will need to make sure that your page, website, and other content is optimized for this approach. Make sure that your staff is ready to schedule appointments and answer any questions that come up with this apartment promotion. Facebook Events are a great way to raise awareness about your property and inform potential renters that you are hosting a walk-through. Instead of hoping that several renters will show up, you can use this tool in Facebook to grow interested to make your showings a huge success! While most apartment managers overlook Twitter when thinking about social media strategies for your business, you can use Twitter as part of your creative apartment marketing plan. 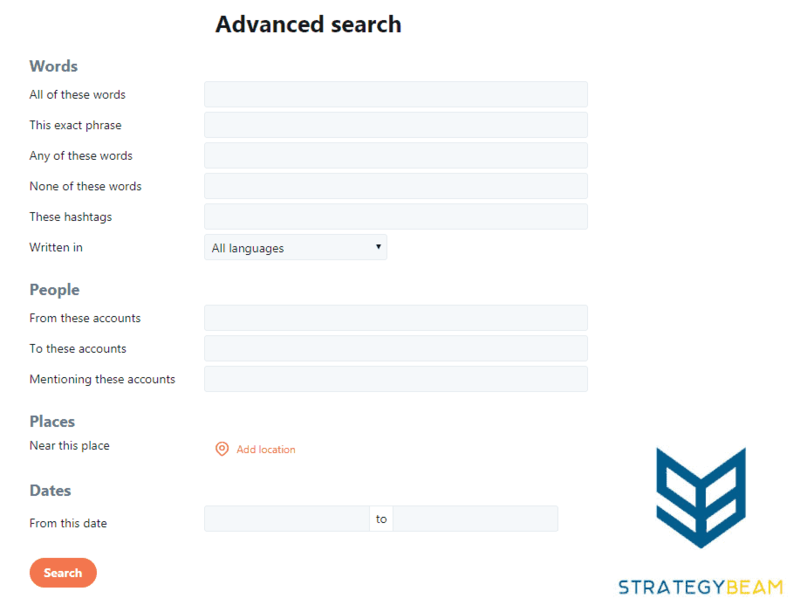 On average Tweets have a much shorter lifespan than content on other marketing channels, but you can harness the power of Twitter with advanced Twitter Search. This feature of Twitter can help you find people who are looking for apartments, excited about moving to your city, or other features that can help you identify, qualify, and connect with your ideal audience. Be sure to make a personal connection with people you find using Twitter Search, and use your findings to build a contact list. You can use information from this marketing strategy to build out other outreach marketing efforts for your apartment complex! When people search for an apartment, they are looking for a place to call home and enjoy the lifestyle that your community has to offer. Your prospective renters likely have many options to choose from, and if you want your apartment listings to stand out, then you will need apartment listings that are entertaining and capture their attention. Creating engaging and entertaining apartment listings is a must-have for any online apartment marketing plan. You need to think about the needs of your renters and you only have a few seconds to build a connection with them. Since your competition is working hard to sign more leases you will need to create entertaining listings that share the benefits of your community in a fun and interesting way. Instead of sticking to a dull script, your team should put your creativity to work to help your prospects love the value that you offer. Don’t just post generic listings with necessary information about the unit and neighborhood. You should create engaging content that educates and entertains your prospects, and this approach will help tie together your creative apartment marketing plan and get more signed leases through the door! You want to make sure that you do everything you can to make your apartment complex appear online so you can keep the top of mind. You should use SEO marketing for your apartment to improve your online visibility so you can drive more qualified traffic to your site. SEO marketing for apartments is different than many other industries because you have to show immediate value and schedule walkthroughs without too many steps. You can get found online for geographic location and benefits that your property offers. 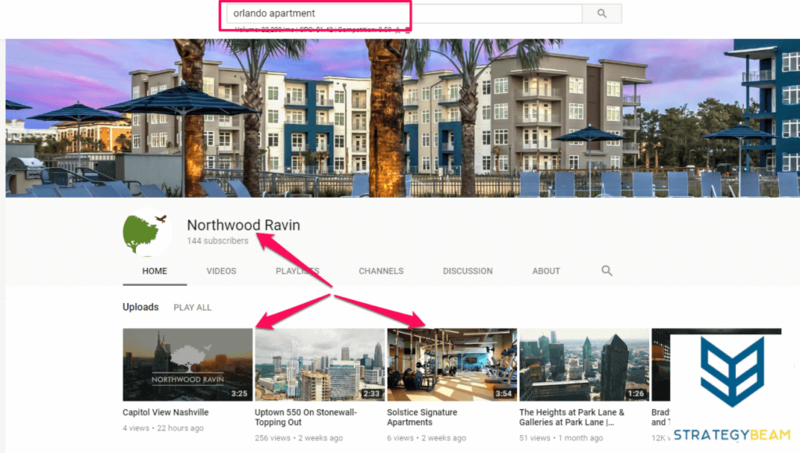 Consider starting a blog for your apartment complex and building a YouTube channel to grow your online presence and boost your rankings in SERPs. You can utilize a range of SEO marketing strategies to make sure that your apartment community ranks in search engines for different keywords or phrases. You can focus on ranking for your brand name, but also build content to help you rank for your location. Also, be sure to plan out your marketing strategy around your features and benefits since people looking for specific needs will want to rent from you and you can use SEO to sign more leases. Blogging is a proven strategy for any marketing plan, and your apartment can really show your value and knowledge by maintaining a quality apartment blog. Studios have seen a 67% increase of traffic and signed leases once they build a great blog. Lifestyle content about the local community and other offerings that your target audience will enjoy. How-to information for first-time renters. Think about the specific needs of your audience and answer their questions so they trust you. Interior design and other content. You can partner with local designers to provide free information that will establish your position in SEO and drive more signed leases. The most potent blog content is centered around the needs of your ideal customers, and you can gather blog post ideas by listing your target audience along with their questions and needs. 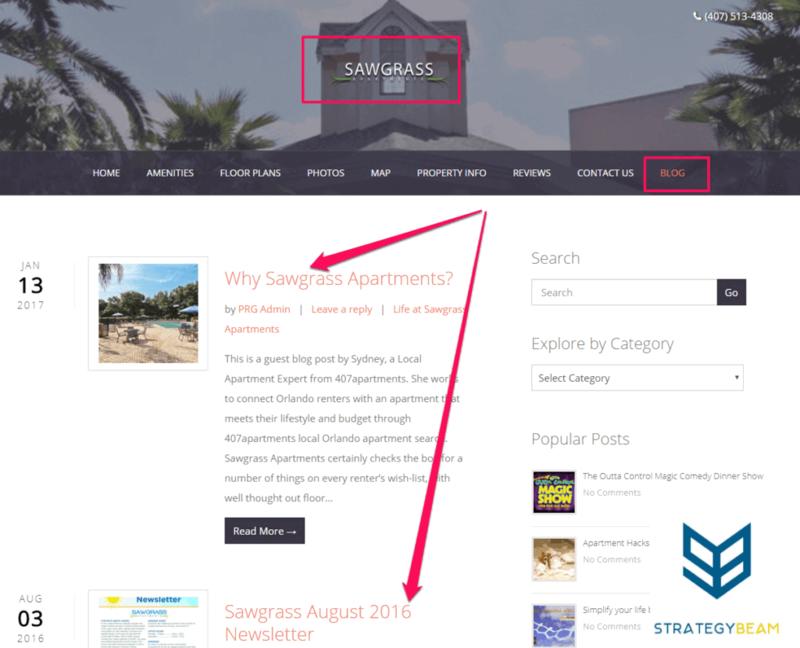 This is a great way to build out a solid creative apartment marketing strategy that will help you get found in search engines and prove that you are the best apartment community in your city. If you are looking to grow your online visibility and boost your apartment online rankings in SEO, then you can’t overlook the power of guest posting on local websites. Backlinks are one signal that Google and other search engines use to determine the power of a site. You can build backlinks to your site by guest blogging for local businesses in your area. Building a relationship with local restaurants, interior designers, or universities and producing content on their blogs with a link back to your site is a great way to boost your online presence. While this approach to online marketing can take some time, if done correctly you will see immediate benefits. Guest posts are a cornerstone of outreach marketing, and your apartment can use this approach to help get your name out there and build relationships with local business owners. Think about your ideal tenant, and consider where they visit, what they like, and where they go in your community. You can reach out to local businesses and organizations to start the process of writing content or creating videos with a link back to your site. If you are on a tight budget, then you should look into content marketing, and a proven piece of content for a creative apartment marketing plan is to build a city guide. This guide can be made on your website, and it could include local restaurants, attractions, school information, etc. Not only will this content educate your audience, but it is also a great piece of material to help build backlinks and other SEO benefits for your apartment to rank higher in SERPs. When you build a city guide to make sure that you include information that is relevant for your audience. The format of the guide needs to be created in a way that is easy for your customers to consume on mobile, should be shareable, and have a way for people to link back to it. This will ensure that you receive many backlinks (boost SEO) and will help spread the word of the excellent resource. Not only are city guides a great way to rank in search engines for information that your future renters are looking for, they also provide a natural way for you to speak to your audience. Instead of battling with the big management companies in traditional formats, you can use city guides and other helpful content to build a powerful content marketing strategy that will help you schedule more showings and sign more leases! Many of your renters recently moved to the city, and you can use this information to help you build content that your audience is looking for in their Buyer’s Journey. One way that you can get found online is by producing local business review content that highlights the best businesses in your area. This approach to content marketing could be the cornerstone of a creative apartment marketing strategy. 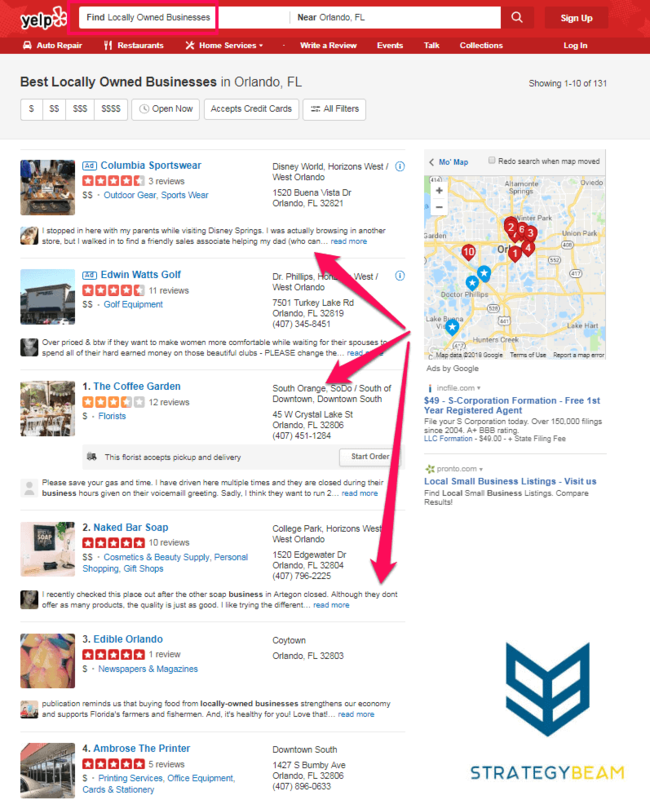 Reviewing local businesses is similar to creating a city guide, but you can take similar content and create individual blog posts about specific business categories or other features. You can also repurpose content for your city guides and/or your local business reviews to create other content. This process will help increase the value of your content and ensure that you do not waste time or resources. You can create different guides to showcase different types of business in the area. As you build this content, be sure to collaborate with companies that you will include in the review. Have them link back to your review and share on social media. This will help the business out by increasing their name recognition, and it will get your apartment website more backlinks that will improve your online rankings. When people search for an apartment, they are looking for a specific geographic location. Part of your outreach apartment marketing plan needs to include Local SEO because this is the best way to get found by your audience as they search for an apartment in a specific city or other geographic terms. Since your apartment is a physical good, located in a specific city, you want to rank for your city or town. Even though potential renters could be looking for you from another state, you want to rank for your local geographic area. Inbound marketing and local SEO work hand-in-hand to help you get found by qualified leads while also improving your online presence. 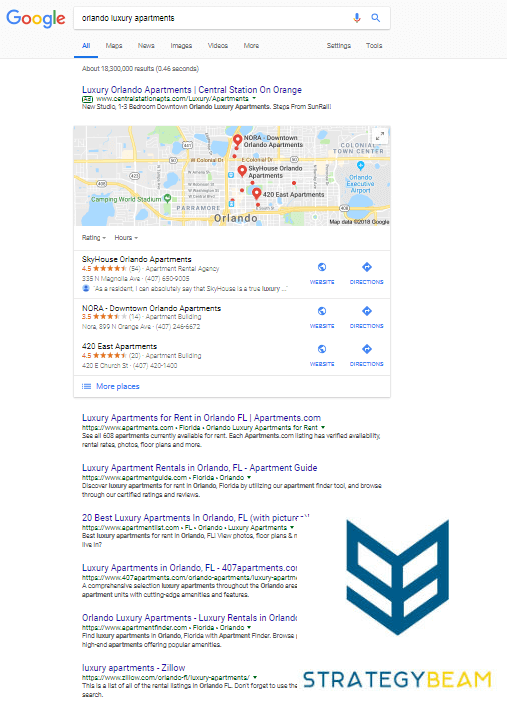 Local SEO is a central tool for any apartment marketing strategy and you should consider how to build directory listings today. Local SEO is similar to other marketing tactics because your apartment can show in local citations on Google, Bing, and Yelp. If you want to capture as much traffic as possible and boost walk-throughs, then you need to optimize your apartment marketing strategy with Local SEO. 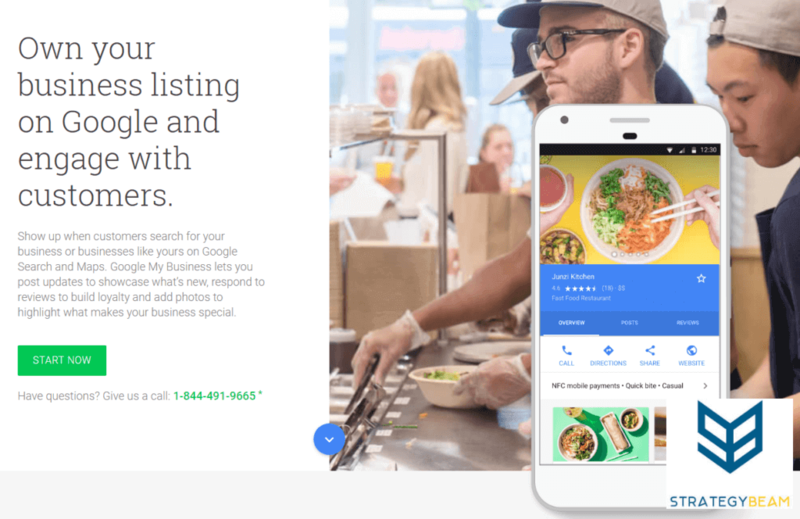 To do this you and your staff will need to make sure that you tune Google My Business and other directory sites. Building your online presence is a great way to improve your visibility and get found by your prospects. However, you can’t create a listing and leave it untouched for months or years at a time. This is because directories could devalue your placement if listings are not updated, and even worse you could have the incorrect or outdated information listed depending on how often your property specials or availability change. You should update your online listings every 3 months at a minimum, and this process is a central piece to reputation management. While keeping apartment listings updated can take time and resources, the process will ensure that your listings are accurate and build trust with your potential renters. Create a comprehensive list with all the apartment listings you have, and schedule updates on those listings about four times each year. If you are like most apartment managers, then you know the major apartment listing lists like Trulia and Craigslist. But did you know there are also specialty apartment sites that you can list your community on? This is a great way to raise awareness about your apartment complex because you can specialize your message to meet the needs of this niche community. If you are an apartment geared specifically for university students, dog lovers, or you are a luxury community then you should find niche sites that cater to your audience. Your apartment listings should be created around your special offerings and speak to the unique needs of your customers. Since your apartments offer benefits that are unique from your competition you will need to align those values with the needs of your ideal renters in special directories and sites. While the traffic may be smaller than the big apartment sites, you can use creative listings and improved messaging to engage with the qualified audience. Since the smaller apartment listing sites cater to a specific crowd, you can position yourself as a thought leader in your city or town. This is just one piece of a winning creative apartment marketing strategy that you can use today! Snapchat is underutilized in many industries, and you can use this social media network to create relationships with your audience. While Snapchat is not the most extensive social network, you can hold a Snapchat takeover where your current residents can “takeover” your Snapchat account for a day. This process is useful for many businesses and will give your residents something to look forward to. Plus, allowing other people to create content for your will provide you with great real-life images and video, and your staff won’t have to spend time making social media content for this platform during that period. Your resident who takes over the Snapchat account could show prospects about their apartment, the local community, and other exciting topics. The video is one of the best mediums to share information about your apartment, and reviews are among the best ways to prove your community’s benefits and value. This means that you can use video testimonials from current residents and upload them to YouTube to be used in your apartment marketing strategy. Not only is video a great way to highlight the features of your apartment community, but this media is also a great way to tell stories. You can interview current residents to see what they enjoy most about renting from your apartment complex and create engaging reviews to show prospect renters why you are the best choice. Once uploaded to YouTube you can easily embed that video on your landing pages, and integrate the videos into your creative apartment marketing plan. Be sure to add a link back to your website in the description of each YouTube video. This will help your apartment’s SEO rankings, and it provides a way for your audience to learn more about your apartment once they watch the video. You can integrate video into your website to see a dramatic increase in signed leases, and this is a great way to expand your creative apartment marketing ideas. Content marketing is all about offering free information, tips, and advice to your audience based on their needs. 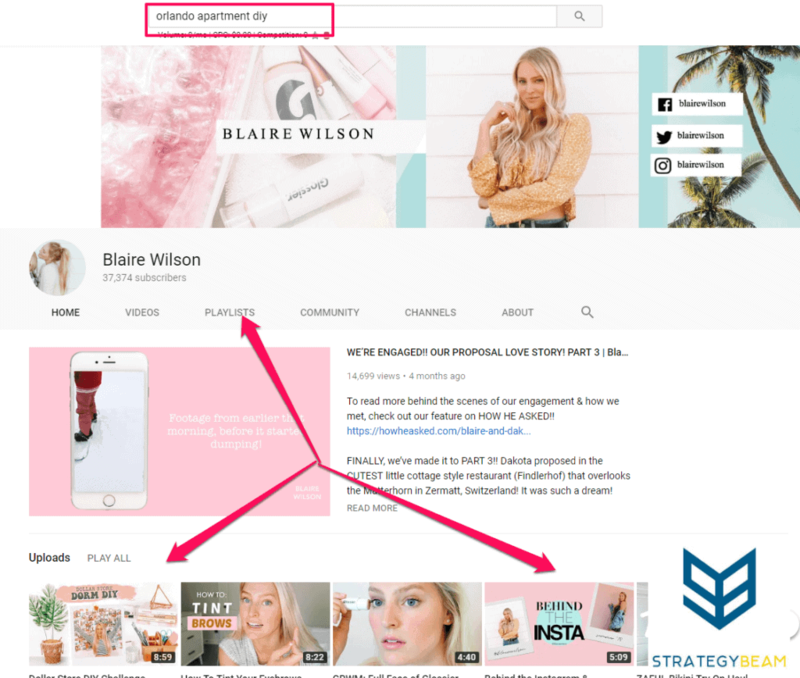 One way that your apartment marketing strategy can rise to the next level is by creating a YouTube channel with quick how-to videos that cover topics that are important to your audience. This apartment marketing idea is similar to hosting a blog on your site, and this approach centers around video. You can show the value of your apartment complex by hosting engaging videos and other content that your audience will love. You can create a great YouTube channel that talks about interior design and other engaging information that addresses exciting topics associated with your apartment. Each video can be two or three minutes long, and you don’t have to have professional editing software to make great looking videos. Each video should include information about your property, and be sure to optimize all components of your YouTube videos to make sure that you get found online. If you have a small team and limited budget to create content to fuel your apartment marketing plan, then you can implement User Generated Content to fill your content marketing calendar and relieve pressure on your team. UGC is often seen so you can highlight engaging content that your community members have made. You can get creative with the type of UGC that you want to integrate into your original apartment marketing plan, but things like branded hashtags, photo competitions, and funny videos show good results for many apartments. You can also use UGC for reviews, community highlights, and other efforts to show potential renters the amenities and lifestyle at your apartment complex. Instagram should be one of the social media platforms that you use in your apartment marketing plan. This is because Instagram has an enormous audience and this social network is based on sharing photos and videos. 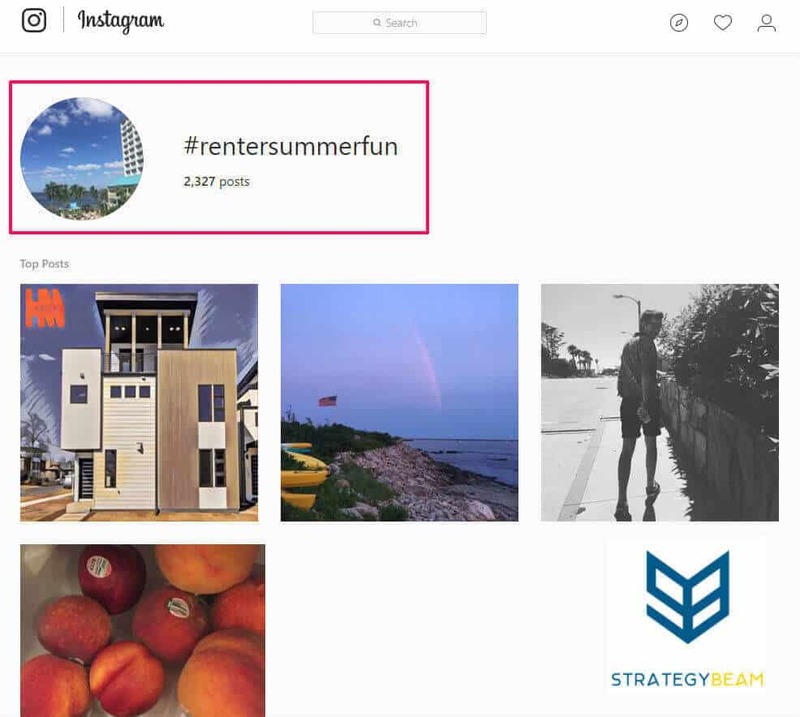 This makes Instagram a great place to engage with your residents and build a relationship with new renters. You can run Instagram contests by having current residents share exciting images and videos from around your apartment community. You can create a branded hashtag to make this content stand out, and offer prizes to the winner who gets the most likes or comments. Both of these will increase the reach of your content and help you get found by people in your city or local geographic area. Most large companies need to spend thousands of dollars to hire a PR firm, but you don’t have to rely on this method to grow influence in your community. You can use a service like HARO to connect with reporters who need an expert in the housing market for an upcoming story or local pitch. On top of using a service like HARO, you can also participate in local charity events like Habitat For Humanity or other meaningful activities. Make sure that you and your team are captured in photos and videos so you can share your experience on social media. Before the fact, you can send out press releases to local newspapers and other media outlets to tell your community that you are working with the charity and why you are participating. Not only does this help people in need, but it is also a free way for you to get your name out there and help drive qualified leads to your office! Walkthroughs are one of the best ways to show potential renters about your property, and if you are showing your units, you might as well try to get people to check-in on Facebook. Before each tour, you can encourage your audience to check-in on Facebook and tag your apartment complex. Combined, these actions will help you rank in the social network, and the friends of your potential renters could see the interaction and become interested in scheduling their own tour of your apartment. You can offer simple incentives for individuals who check-in on tour, and this is a great way to boost the power of your apartment marketing strategy while conducting apartment tours! The geographic location of your apartment community. Unique values and benefits offered by your property. Local attractions like restaurants, venues, and other conveniences. Recent testimonials and reviews of your property from residents. Since your apartment community includes a variety of conveniences, you should think about what your potential residents are looking for in a new apartment home. With this information, you will be able to make relevant and engaging ads that get your audience to click and look through your apartment information. Google Ads for apartments is an investment that can be a valuable piece of your apartment marketing strategy. While PPC marketing for your apartment may be an expensive price for several your creative apartment marketing plan, if you prepare the preferences and additional factors properly then your complex will see highly concentrated and appropriate traffic from the online marketing strategy. Having a professional manage your Google Ads account will mean that all aspects of your campaign are optimized and your account will have an ideal budget to earn you maximum results. 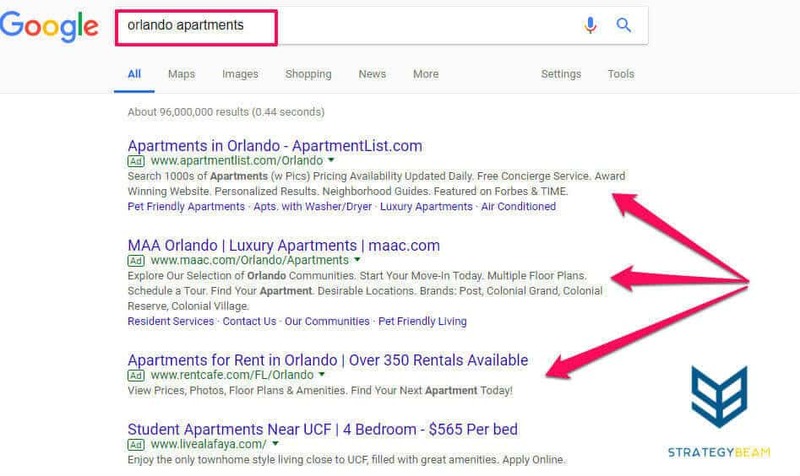 This type of advertising focuses primarily on keywords and your apartment may tailor exactly how, when, and what’s going to reveal to your apartment promoting PPC campaigns.